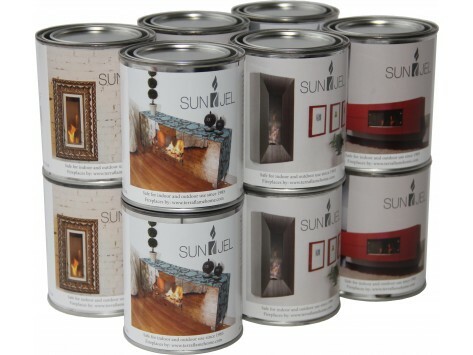 Anywhere Fireplace products cannot be returned unless they arrive damaged or broken. Cannot ship to Hawaii or Alaska. For use with the Empire, Montauk, and Sag Harbor models of Anywhere Fireplace. Fuel burns clean and without soot, smoke or ashes. 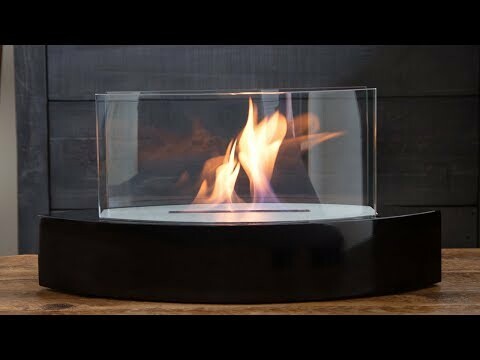 Produces 7 inch flame and imitates crackling sound of wood burning fire. Dimensions (in packaging): 14" x 11" x 9"
I bought this at the same time as I bought the Anywhere Fireplace. But you can buy fuel much cheaper elsewhere. The cans do last close to 3 hours.